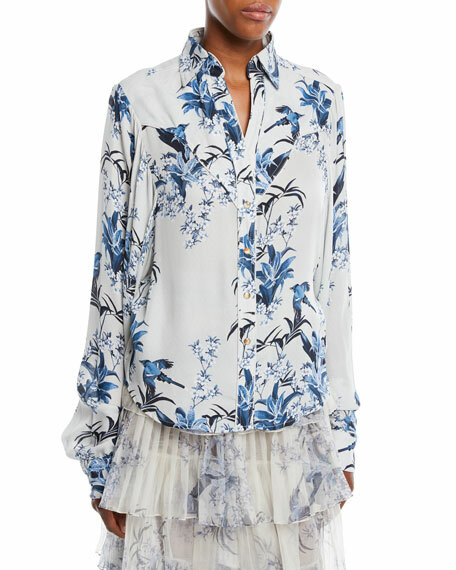 Michael Kors Collection shirt in semisheer georgette. 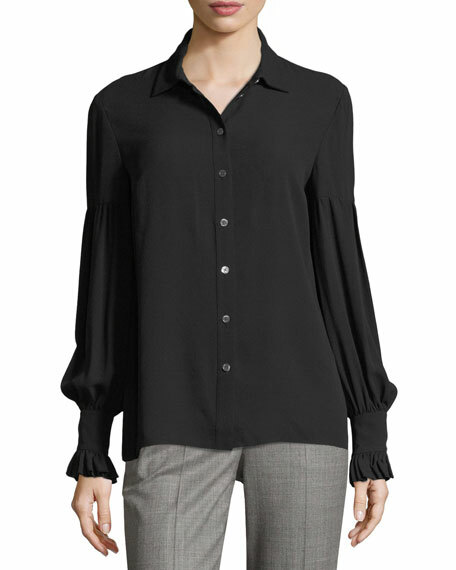 Long sleeves with gathered detail; ruffled cuffs. 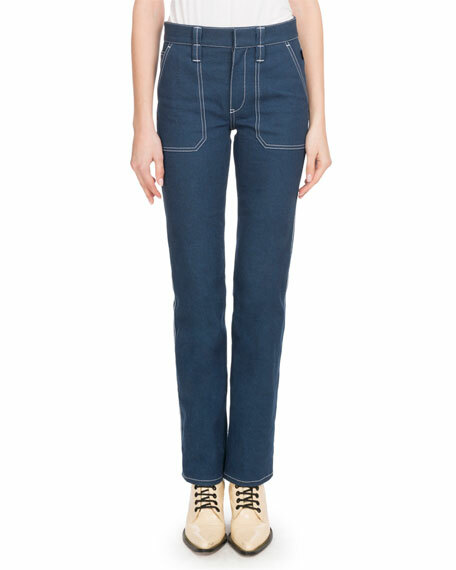 For in-store inquiries, use sku #2354855. Innovative silk rib knitting makes this Hanro shirt super soft and comfy. Black ultra-fine rib knit. Scoop neckline. Long sleeves. Seamless finish; woven elastic edging lies flat against skin. Fitted, long-cut silhouette; pullover style. Silk. Imported.